As a competitive email marketer you’re always trying to be the best. And while email marketing is a fight to win the inbox war it doesn’t mean you need to be the best overall email marketer in the world. You simply need to strive to be the best in class. What does best in class mean? To be the best in class it means you’re going up against your direct competitors. You’re looking to create emails that will win the attention of your customers when they open their inbox in the morning. Let’s look at five examples of companies that are fighting to be best in their respective classes. Amazon has been killing it with personalization for years. Here is a recent email from Amazon. For years Amazon has been the king of personalization. With this email they again get personal with the recipient. They highlight that customers with interests in music (who doesn’t love music?) often enjoy purchasing box sets. That’s a great way to win the email fight. 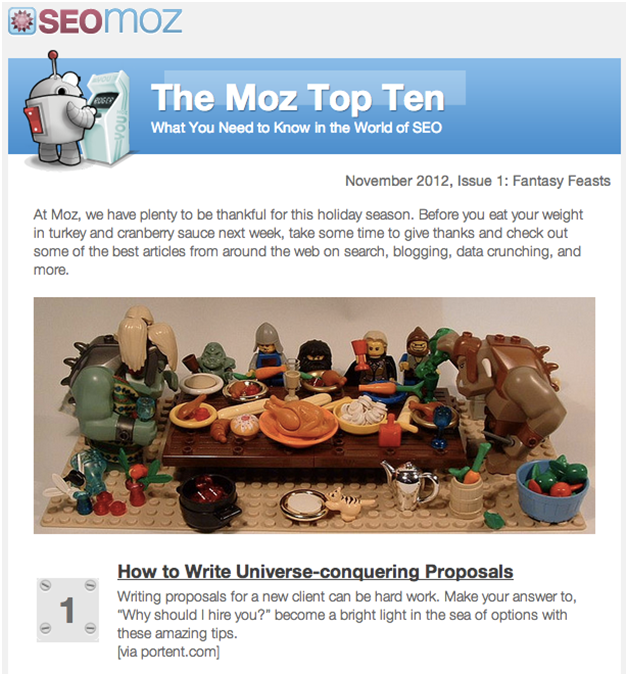 SEOmoz wasn't the first SEO company with a newsletter, but they focused on design to be the best. SEOmoz has been winning the inbox for best in class email marketing in the SEO industry this year. The company launched its Top Ten email series just last year, but they’ve already acquired quite a few subscribers and it appears the series is doing well. What SEOmoz has done with the newsletter and with everything they put out is focused on design. The art of design has not always been a focus for those in the SEO industry. It’s more a technical class. SEO sees this as an opportunity to stand out and win. From the character at the top to the unique design of the numbers in the email they are focusing on the little design elements and standing out among other newsletters in the inbox. Danner stands out in their industry by using simple design instead of in-your-face design. The outdoor industry or the boot industry has a certain way of designing things. The emails, websites, catalogs and other marketing pieces tend to have dark colors and bold accents that show the toughness of the products. Danner goes in a completely different direction with its design. The company focuses on lighter tones and simpler designs. When you look at the email design above it almost appears to be a design from the Gap or a trendier company. Danner wins simply by being different than every other boot company in the inbox. 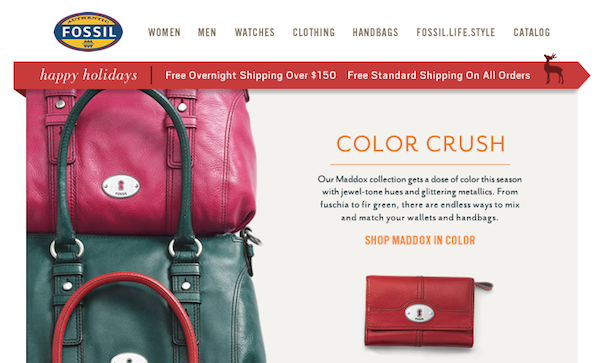 Fossil feels its products do the selling and the company’s emails focus solely on the product. 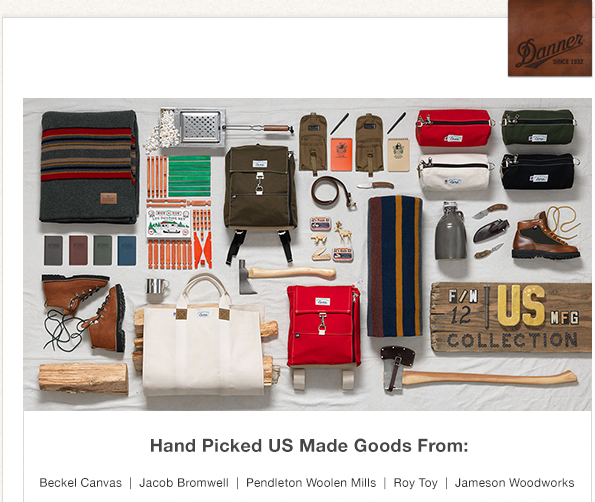 If you subscribe to the Fossil email you’ll notice that nearly every email design focuses on the product. There is usually one product or product line featured in the emails. There are very few distractions. Fossil customers are very passionate and Fossil understands this. There is no need for tricks or gimmicks in the design. Fossil focuses the email on the product because they are confident the product is why customers are interested in the first place. Apple designs its emails to be pretty simple. There is no doubt what this email is about. 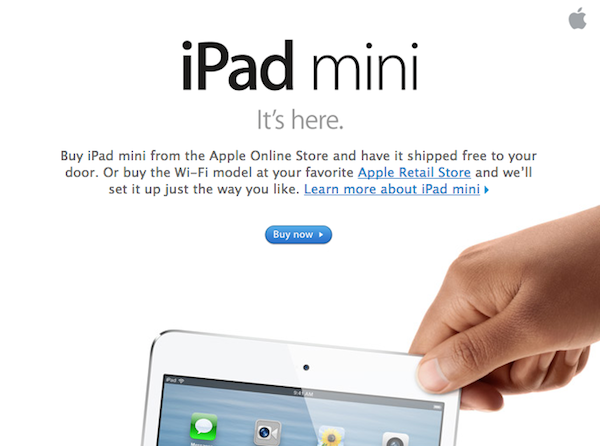 Apple recently announced its new iPad Mini. The product launch made big news and Apple sent out and email presenting the new product to its subscribers and customers. What Apple has always done well with all of its marketing is keep things simple. There is a single message or point in this email. The message is the iPad Mini. There are no other calls to action in the email except three that relate to the iPad Mini. There is no top navigation. You barely even see the logo in the top right corner. Too many distractions or options can confuse people and when people are confused they’ll just close the email. Give people one option or a few options to click. It’s really hard to do and you’ll stand out if you can accomplish the task. These examples show a few of the ways companies are being the best in class. 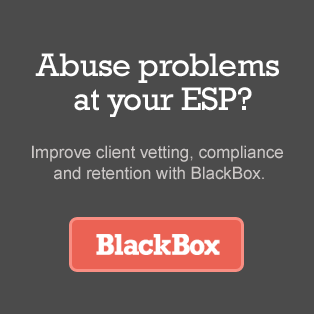 They’re standing out among their direct competition and winning the inbox fight. These companies each take on unique aspects in design and format to stand out and be more appealing to customers. Take these examples as inspiration, but find out what makes you different. You don’t need to be the best in the inbox, you just need to be the best in class. 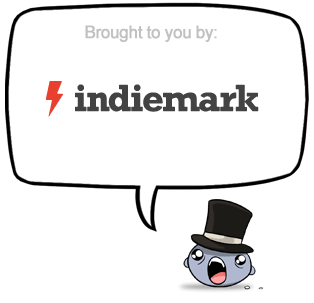 About the Author: Scott Hardigree is founder of Indiemark, an email marketing agency. He can be reached everywhere here. It’s inspiring to see good examples like these. I am just amused by the fact that Amazon is the king of personalization but they open the email with “Dear Amazon.com Customer” ! I was kind of hoping to see a name… It is clear Amazon see their subscribers as somebody that brings money. I feel that could be crafted in a better way (“Dear Music lover”, etc.). Any thoughts? I agree with Dorianne. 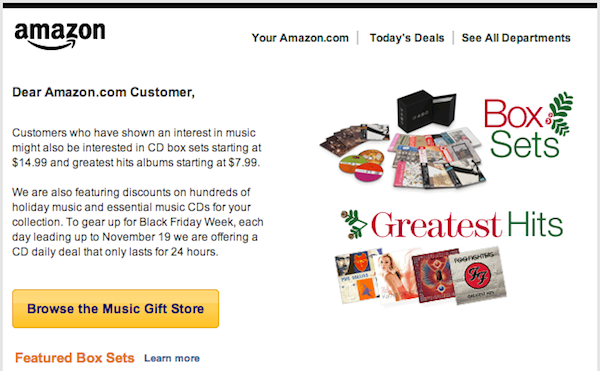 I don’t think the Amazon email is a great example of personalization. They start out calling the recipient “Amazon customer,” and make the broad generalization that, hey, since you like MUSIC you must love BOX SETS, right? Maybe if I’m a 62-year-old die-hard Eagles fan and I still have a 5-disc changer. I’d expect a company like that to dig further into my purchase history and surprise me.